This is the price (excluding postage) a seller has provided at which the same item, or one that is very similar to it, is being offered for sale or has been offered for sale in the recent past. The price may be the seller's own price elsewhere or another seller's price. The 'off' amount and percentage signifies the calculated difference between the seller's price for the item elsewhere and the seller's price on eBay. If you have any questions related to the pricing and/or discount offered in a particular listing, please contact the seller for that listing. 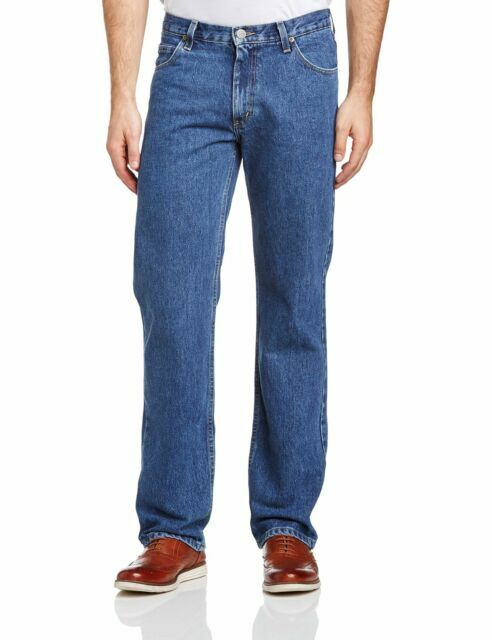 Lee Brooklyn Regular Comfort Fit Jeans.